There was a lot discussed on the call, and as I said, it is worth listening to. 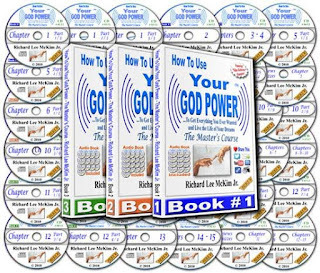 Note: The Download Links to the Free Book "How To Use Your God Power" mentioned on the Call are at the bottom of this post. Zorra's Advice: Think of your Post RV plans and start acting on them. The "Problem" is that when you think about the RV, you feel let down, and that creates "Opposing" energy to it going. It is not so much that you think about it and expect it, but more about that fact that you "Notice" that is has not happened yet. Importantly, the part that you notice is the part that is actively vibrating and influencing the World Events. In short, Noticing It is NOT going creates more "Not Going." The simple answer to this issue, is to take the Vibrational stance that it is "Already Going" and that the 800#s will be out at exactly the right time. In other words, "Notice" all the things that have been accomplished, Notice that events seem to be lining up for it to go. Notice that there is always progress and that "Things" are clearly in Motion. Keep your eye on the working out part and not "That it hasn't happened yet." Therefore Zorra's advice was to go about your business planning and checking out locations for your projects and other such "Post-RV" activities. As your eye and attention are on things that would be started after the RV, it pre-supposes that the RV is not only already going, but that it will be here so soon. Therefore, it makes sense to get started on Post-Rv, thinking and activities. In short, if you are NOT "Noticing" that it hasn't happened yet, because you are paying attention to other things, you are not hindering the Progress of the RV energetically. In other words, get your mind off getting the 800#s, and onto what is next to be done. When you start to focus on the Post-RV plans, you will suddenly find out that the 800#s are here. But like a "Watched Pot," the more you look for the 800#s, the slower they will seem to be. The less you pay attention to them, the faster they will show up. Abundance is NOT an "Amount/Quantity," it is a Function of Creation. It is an ever flowing creation, on demand, as wanted. We think of our coming Abundance of Money, when it is not the Money that is "Abundant" but the ability to create/elicit the Money that is Abundance. Importantly, you have not only learned how to use your "Abundance Function/Ability" to create vast sums of Money, you have also proved that you could do it as well. Others who did not believe in their Abundance Ability, laughed at our ZIM and declined to get involved. However, those who Believed in Abundance of Money, jumped on the opportunity and will now reap the rewards as well. But, "Abundant Creation" of Money is the least valuable application of this powerful Manifesting tool/ability. Soon money will be useless and then what will you have then? It is time to use your new found Abundant Manifesting Ability on other more worthwhile areas and applications. There are NO limitations or restrictions on what can be Abundant in your Experience. Time: In the same way that you will soon feel abundant in Money, DECIDE, that you also have an Abundant Amount of Time as well. DO NOT CLAIM SACRISTY OF TIME! Instead, proclaim your Abundance of Time and just as money poured into your experience when you proclaimed your coming Abundance of it, so will Time, and all that it will afford you. The more you (pro)claim that you have the time to do what you want to do, the more time you will actually have manifest into your experience. In the same ways that you found a way to bring more money into your experience, you will find ways to have more and more time to enjoy your life. Health & Longevity: Start now and Proclaim your coming Abundance of Health and vitality. Look forward to it in the same way that you are expecting the avalanche of cash, expect the complete revitalization of your Body and its Health. Is your health a Dinar size return or is it a $100T ZIM at the top sovereign rates? Do not limit your expectations and lessen your coming Abundance of ABSOLUTE HEALTH IN EVERY WAY. Remember, that soon cures for all diseases, that have been long held back from us, will be made available to all. Perfect health is NOT just the Hope, IT IS THE PLAN. Between the new health technologies to cure every disease, the Healing Ships with more advanced healings such as regrowing missing limbs, and the Mentors who will help with emotional health and healing, we will soon be in perfect health. Let your healing start now with the expectation of your Health in Abundance! Friends: There is nothing more wonderful than Co-Creation of Joyous Life Experience. DECIDE, that you are Abundant with Friends. Take notice whenever someone contacts you with a Loving message and appreciation. Recognize that it is EVIDENCE of FRIENDSHIP and respond in kind. Soon, you will be the center of a wonderful group of like minded wonderful people who you proudly call your Friends. Proclaim your Abundance of Friends, and like the ZIM that becomes Trillions overnight, your friends will be so numerous and wonderful, that the only way you will be able to accurately describe your situation is that you have an "Abundance of Friends." So Be It! Joy & Happiness: There is nothing as wonderful as turning on the Abundant flow of Joy and Happiness. It is so easy to become Abundant in Joy & Happiness, by noticing that you already are. When you "Catch" yourself in a happy moment, claim it as EVIDENCE of the Joy & Happiness already in your life. Moment by moment, you will become more and more Abundant in Joy and Happiness until it defines your Life. Since Joy can be found in every single moment of life, expecting it Abundantly, causes it to manifest all over the place in every way. Life becomes Fun, Joyful and full of Happiness in an ever expanding series of Happy moments, one after the other. Love: Know that Love is the foundational Vibration of the higher Dimensions. Soon Love will be all there is, then Fear and all its lower Vibrational relatives such as Hate, Control, and Separation, will cease to exist. Therefore Decide that your Life is now Abundant with both the Love you give, and the Love you receive. As you take the time to Show and Express Love to another, Person, Plant, Animal, or bug, you will feel it's wonderful feeling yourself. You cannot give Love without first, vibrating the Love that is to be sent to another, within yourself. This means that You get to enjoy your Love Feeling First, before you then give/send it to another. Thus, Love is a gift that is given to self as it is given to another. DECIDE that your Life Experience is made up of One Love Giving and Receiving Experience after the other. That in EVERY Moment, you can not only send Love to another, but also can transmute their Lower vibrations up to Love for them. Once you really begin to Feel your Abundance of Love, you will find that it can be giving to anyone, no matter whether they deserve it or not. After all, you are ABUNDANT with Love and there is plenty more to go around. I will write more on this later, but for now, it is an event that is far into our Future. Long after the GCR, The Republic/GESARA, and Disclosure, there will come a time that the Earth will have a growth spurt. She will expand by at least 1/3 of her size. This will cause catastrophic damage from Earth Quakes and Volcanoes to name a couple. Such is the nature of Planet Growth. Lucky for us, she has planned to grow all at once, rather than over a long period of time. When that time comes for Planetary Growth, we will be gathered up and move into the safety of space ships. All that was made by man, will crumble down and be consumed by Nature's relentless expansion, covering what once were great cities. Soon, all that is on the surface of the Planet Earth, will be nature's domain, as most all other planets already are. Do not lament, the loss of all that was built, as it served a purpose in Mankind's ascension. After all, once in the Higher dimensions, such structures are no longer wanted or needed. Remember, you are eternal beings of Light, who's nature is energy, and all else is just experience transformed over time into wisdom. All of the construction, and creations of man were but an experience that culminated in your evolution to a higher being, with greater abilities and capacity for Love. These things on Earth served as stepping stones, which will no longer be needed. Importantly, from your 3d perspective now, in the "physicalness" of your life experience, it seems wrong or like a loss. However, when that time comes for the Gathering, it will seem like the next logical step, and you will no more mourn the loss of your great structures, than you now mourn the loss of your childhood toys. They belong to the past, and have no place in your more advanced future. Just know that for every big revelation, you will face in the future, it will at first seem strange, but will always make sense later, in hind sight. Trust that all is well, and as strange as the Future seems now, it will seem perfectly natural and normal later when you get there. Know that it doesn't matter who is the President now, all is being done according to the plan. We only get to see a small part of what is really going on, and most likely are deceived as to their true intent. That matters not. It is not your work, to know the exact plan just so you can feel happy about what is transpiring. Suffice to say, if you knew everything there was to know, and you were an advanced being from a civilization that is millions of years older than ours, you would make the SAME EXACT DECISIONS AND RELEASE THE SAME EXACT INFORMATION TO THE PRESS. While the plan evolves as a natural element, it is ALWAYS the best plan in the moment. Frankly, we may NEVER know everything that was involved, but we will eventually see the wonderful result that countless Light workers have lived and died for over thousands of years. The outcome is CERTAIN, while the timing is not. That being said, don't blink, because the moment you do, the 800#s will be here, and life as you know it will change forever. In addition, we have our beloved Lorraine Eldgride who spoke to us on two topics. The first is about emotional clearing and why it is necessary for all of us especially during these times. How best to keep your vibrational frequencies high? Clean and clear your bodies, especially the emotional body. She has 2 emotional clearing sessions coming up for those who are interested. Experts agree emotion is the root cause for most, if not all, of our imbalances, physical, emotional and spiritual. Have you been clearing emotional issues and yet, you still are not where you want to be? You still want something more? Are there lingering physical issues you haven’t been able to bring into balance? Do you experience emotional reactions, anxiety or other imbalances that are keeping you from having a healthy and joyous life? You just want to feel better? Do you want more wellness and abundance in your life? What if there was a way to clear conscious and subconscious trauma from your cellular memory? Join Lorraine Eldridge on this very special “Emotional Clearing – DNA & Beyond” workshop with 2 90 minute calls where you will learn how to clear subconscious and conscious traumatic memory. You will be able to apply these simple clearing steps to relieve daily stressful situations and to clear unknown causes of imbalance in your body. It works! Do you know that most of our imbalances are the result of subconscious trauma – meaning we do not know the cause. What if you could learn a way to easily and gently clear subconscious trauma? Would you do it? Do you know that experts worldwide agree that most of our imbalances are from unresolved childhood trauma? What if you could gently and easily clear subconscious and conscious childhood trauma? What if you there was an easy, gentle way to go deep to the root cause and really make a difference in lingering physical issues, emotional problems and how you feel in general? What if there was a way to clear the programming in your DNA & Beyond that keeps you from experiencing wellness and joy and could restore balance in your everyday life? What if you could do this with simple effective and safe techniques that utilizes just your own energy of light and sound to reach the level of wellness and abundance that you desire – that you deserve? Would you do it? Yes! You CAN do it and I can show you how during this all NEW Emotional Clearing –DNA & BEYOND workshop. Can’t make the dates – No Worries – Calls are recorded. US and International Numbers, and also listen via computer available. Secondly, she spoke briefly about a new health product that is already making news worldwide. Given that, it is an important one to check out. Thanks Lorraine for your part in helping humanity! Faster, stronger, and more effective, Nano Enhanced Hemp Oil far outpaces tinctures. The advanced technology behind this ground-breaking liquid delivery system makes for precise dosing and immediate effect. Utilizing a unique liposomal delivery system, which dramatically improves the bioavailability of the oil. Our product is a Dietary Supplement and contains industrial hemp extract derived from the whole hemp plant, which delivers healthful benefits, without the psychoactive or “high" effect associated with this type of botanical. Give readers more of the specific details involving the sale. Focus on brand names, prices, and availability.